#1 How Well a Fighter Can "Survive"
To measure a fighter's "survivability", factor in three key traits: defensive ability, durability, and recovery. If the fighter possesses all three, chances are, they don't get knocked out too often or at all. Georges St-Pierre and Jones are two great examples of these and they are lauded as the two greatest fighters. Coincidence? Defensive ability is the first to watch out for as this is the one the fighter has the most control over. This indicates how well a fighter can manage to not get themselves knocked out by minimizing the damage they absorb. Fighters who are masters at controlling the distance, moving, and confusing their opponents score highly here such as the likes of T.J. Dillashaw. Durability is the most straightforward factor: how much a fighter can absorb before showing signs of being hurt. Nate Diaz ranks near the top here as power shots leave him unfazed. In colloquial terms, this is a fighter's "chin". This is arguably the most important factor of all three here. Recovery is a great compensation if the fighter doesn't have good durability. This refers to their ability to gather their senses and defend themselves if and when they get hurt. Fighters like Benson Henderson have amazing recovery and are often described as having "heart", the ability to persevere despite getting hurt. The other half of the survivability equation is the knockout equation. To measure how well a fighter can knock the other out, factor in three key traits: striking power, striking accuracy, and striking activity. Striking power: better known as "knockout power" is how much damage a fighter can pack into a single blow, mostly through punches. Heavyweight title challenger Francis Ngannou ranks at the top here as he recently registered the hardest punching power officially. Striking accuracy: many argue that technique beats power any day and well-landed shots are usually what put fighters' lights out. An example would be Conor McGregor who famously said, "precision beats power" in his 13-second knockout of Aldo. Fighters who can land clean on the button rank highly here. Striking activity: this refers to how active a fighter is in striking. Fighters can have good power and accuracy but if they are inactive, their knockout ratio will suffer. Cain Velasquez is a solid example as the former champion mauls his opponents with consistent shots. With some slight exceptions, the heavier the weight class, the higher chance of a knockout. It's easy to rack up knockouts when facing low-level competition and on the flipside, it's hard to get them when facing upper-level competition. Take the example of Doo Ho Choi versus Cub Swanson. Choi was riding a knockout streak and was favoured to knock Swanson out but not only did he fail to knock Swanson out but also lost to him. While considering all of the factors above, also look at which fighters both fighters have fought to get a clearer indication where their skill level is. The x-factor to all of this is where a fighter is in their MMA career. Fighters who are either old and/or have absorbed a lot of damage throughout their careers are more likely to be knocked out than young fighters who haven't been damaged too much. Older fighters may also not be improving as much as younger fighters. 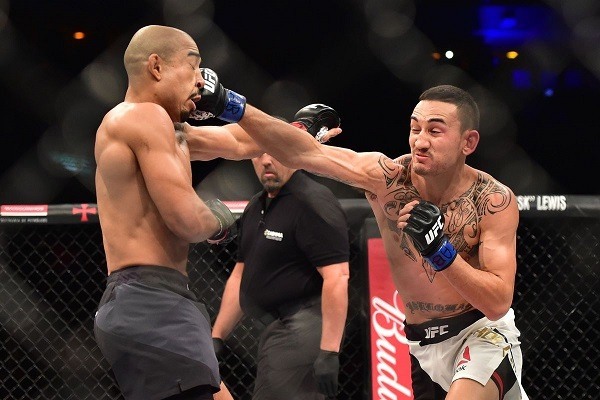 An example is Max Holloway versus Jose Aldo. Holloway, only 25 when he fought Aldo, dominated their fights proving to have the more durability, more power, and quicker improvements. Like most things in MMA, there are exceptions to the rules but more often than not, using logic-based reasoning works better than pure instinct. Although, it helps to have both. With practice, predicting knockouts can be easier and using props on Canadian online sportsbooks will not just be fun, but rewarding.